WildXtra.com was part of the MinnCentric family of blogs, articles and forums providing independent coverage of the Minnesota Wild. I first started re-posting my own blogs onto this site before joining the staff of writers. After developing relationships with some of the founding writers on Twitter, they asked me to come on board as a writer. I typically contributed one column per week to the site, plus commented on the forums section of the website, engaging with other hockey fans. Unfortunately, management decided to shut down the new content for the site at the end of 2016. ​Here are a few posts I'd like to highlight. Sharing my thoughts after Mike Yeo was fired as the Wild's head coach. 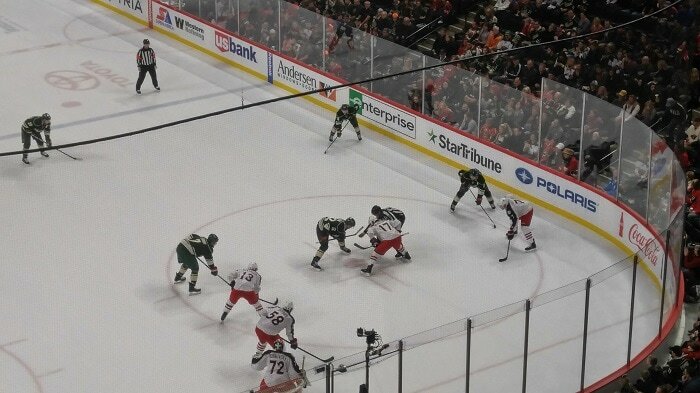 Taking a deeper look at the struggles of Jason Zucker. The Wild backed into the playoffs - again. Good things about the Wild hiring coach Bruce Boudreau. We are pleased to announce that @TheMNSportsMan and @hlrule have joined the WX team starting this week! Please welcome them accordingly! You get a goal! You get a goal! The Wild were rolling with a five-game winning streak.